I need feedback from coating users. Suggest to me a better topper than Bead Maker as a coating maintenance product for me to test out head to head. Factor in price, slickness, hydrophobic maintenance, wipeability, gloss, and let’s throw smell in for giggles. Bead Maker has been phenomenal on my coatings. Maybe it is just me but I don’t know why I have no interest in bead maker. It’s one I don’t see myself purchasing. Just like the new Meguiar’s ceramic wax. Hard to beat the price. It was not in my testing of SiO2 toppers since it does not contain SiO2. I still would like to see it side by side with V07. V07 is slick,glossy, and smells like a creamsicle, but only lasts around 2 weeks. Not sure how long BM lasts as all we get are day old beading videos. BM may be a different smelling V07 for all we know. I feel similar, but I may just get a bottle of BM to see if the hype is real. Going to be out on the Megs stuff though. Looks like too much work for little difference, disappointing. I was hoping for a good consumer version of a SiO2 product. Still hoping the new Mothers product is a winner, got my preorder in. Loach. How about a side by side with BM and Tac System Quartz Max? The cost would be hard to get down to BM price with a Sio2 topper. That`s simply cause Sio2 is high cost for manufactures to buy and so for the consumer too. Would be awesome if you could test my favorite Herrenfarth Sprühglanz. Which is to get a great gloss. The price is high though 300ml somewhere between $25-$30. It`s not Sio2 but works as it and they call it Si+ monosilicon. Very easy to apply and wipe off. No smell from what I remember. Could be that you use so little from it. 300ml or 10oz would get me around 6-8 mid sized cars. Another one that I like is Angelwax Enigma QED. They claim ceramic infused so some kind of Sio2 chemistry I think. 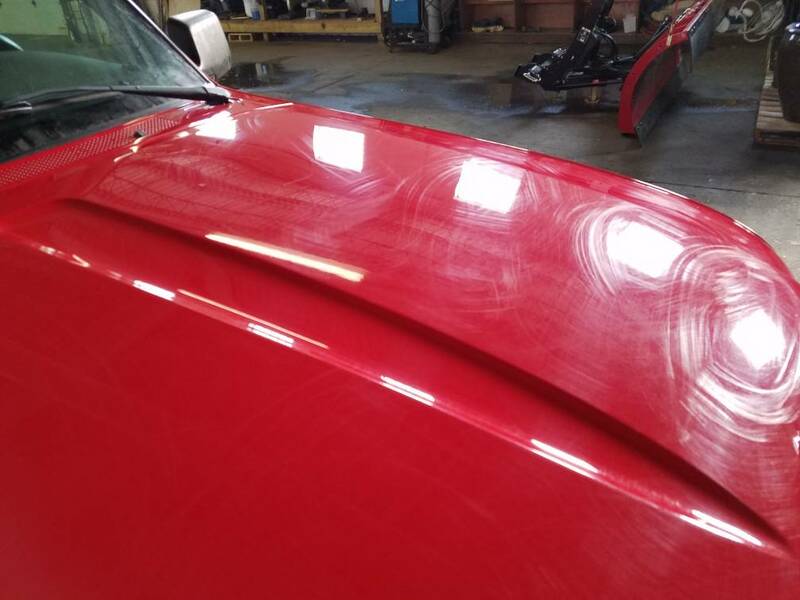 In the UK the prices are very low price on Angelwax products. But Angelwax don`t let the resellers export it. I have seen only one reseller that seems to be doing it. Around $35-$40 for 500ml/16oz for Enigma QED. But honestly I don`t think there would be a Sio2 topper that could compete with the BM in slickness. Since Sio2 in it self is grabby sticky feeling when started to cure. Just take a squeeqe clean glass for an example cause that is basicly Sio2 in some way. Reload has some other kind of oils and polymers that makes it slick. So would be to find one that are more made for the slickness in mind. But tested to wipe in Hydro2 lite on wet paint and that was slick to me. Maybe something like that but it would be out of the recommended application so not so fair. 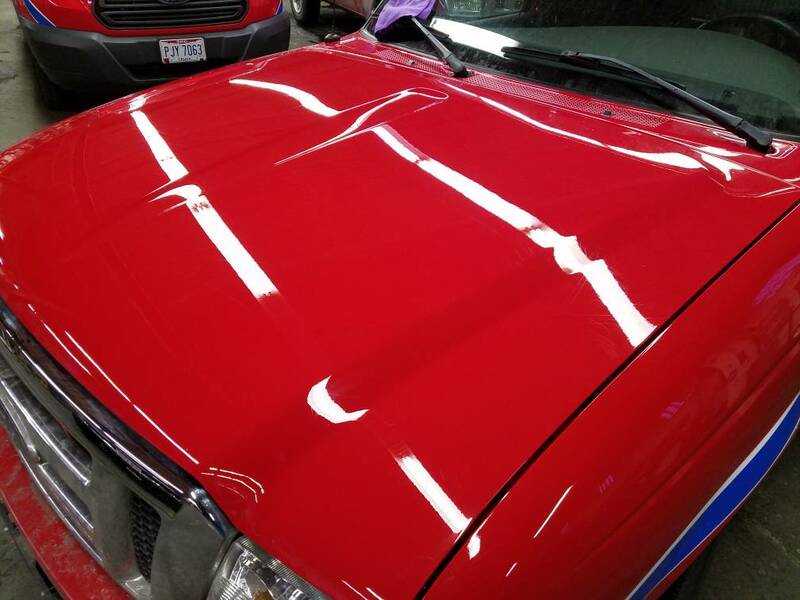 V07 if it`s great to be used on coatings could also be an option. Maybe others can shaim in on the pbmg Sio2 topper offerings. Ditto. Just dont see where it would fit any of my needs. It`s a polymer product, correct? What differentiates it from something like Kenotek Showroom Shine or things of that nature? It`s cheap enough that I guess I could try it on some coated fleet stuff at work. Is it just a "make it look shinier for a bit" deal or will it add some kinda protection? 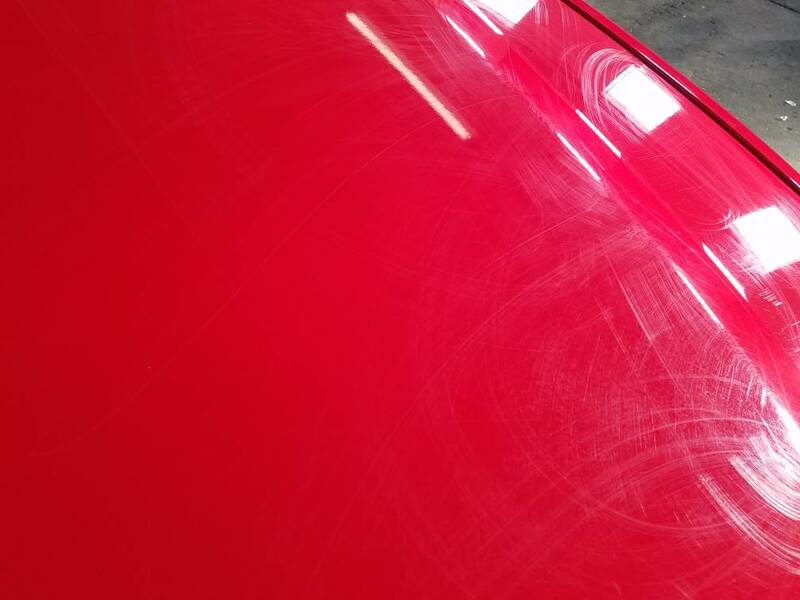 Would it stand up to the "Oh look, a bird targeted my black Subaru hood...ah, it`s late, I`ll clean it up tomorrow after work" test? Given all the talk about it lately I`m getting a bit curious to see if it is a "real deal" or just the current "next greatest thing"? Edit: Eh, for $13 I`ll give it a go on the hood of the Gyeon Syncro vehicle; maybe it`ll help that otherwise disappointing affair. I think that thing is gonna get cleaned up an CanCoated over the Syncro soon anyway. Could do side by side with Reload if that would be telling in any way...wanna try Reload on something. If not Reload could try it next to Feynlab, Kamikaze, 22ple or Polish Angel sprays although thinking that wouldn`t be a very fair fight. Angelwax QED and Angelwax Enigma QED I like a lot still. A little to a wax look which I like. And durable for being such products. Think that Angelwax Enigma AIO can be popular if it`s longevity you look from a AIO. And just what I have heard from others it seems to be have a great cut too. The downside would be to dial it in so you have an easy wipe off. Cause the heat and Sio2 can be tricky to work with. 2 hidden gems from AW is ti-22 sealant based on titanium and Corona that do magic on plastic trim parts. Corona is also a sealant so you get a versitale product with it. Then it`s all about what you are into and looking for. Even if the Bead Maker works on top of any LSP. There is not so much of talk about if it change the base protection caractics. Have read about some testing with BM where it changes the water behavior and self cleaning ability from PNS and coatings. And for many that is important. While it excells on slickness feeling and gloss. And many likes those caractics as well. So it`s comes down to what you like. And what kind of base protection you use. What I wonder about BM is if you need to apply it heavy on a LSP to get the most out of it. Or if the heavy application is only needed on bare paint. And how it works when you like to use different toppers and drying aid. If you need to start over with the BM heavy application when change it as a topper or drying aid. Maybe not a deal breaker since it`s low price. And many talks about how long it will last. But as I understand it it`s not made with durability in mind. The longevity is claimed up to 1-2 months. So if used on it`s own and after the first heavy application. It`s needed to be topped up with 1-2 sprays per panel regualary after that. I have a gallon of PS Beadmaker and i can attest that it changes the water beading behavior of your basecoat. 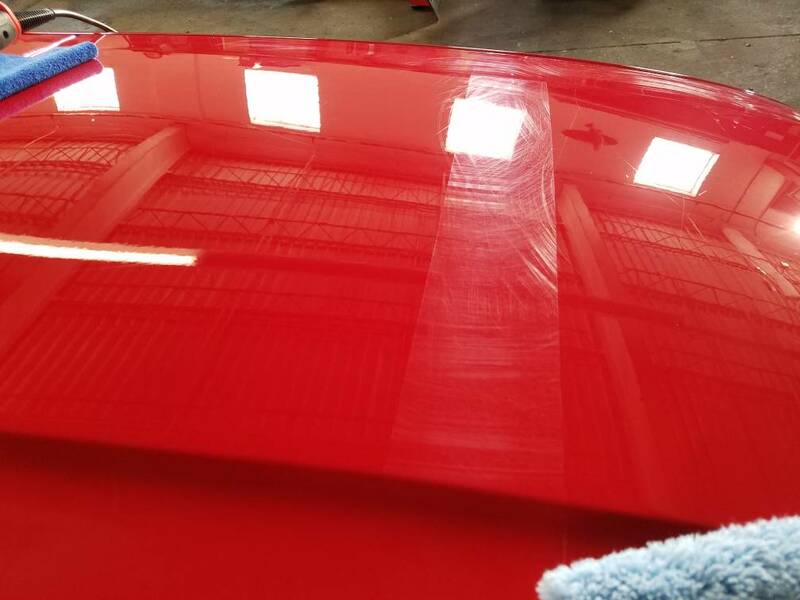 I have one car that is coated with wolfgangs sealant and the beadmaker diminished the water beading slightly but the slickness (via touch or finger) was improved...go figure. I have a truck that is CanCoated (going on 6 months fyi....) and the beadmaker messed with the self cleaning alot. So much that I wont use it on the truck anymore, just my sealant LSP`d car. Last night I went to a pay and spray to rinse the salt off. The "pre soak" was pretty aggressive. 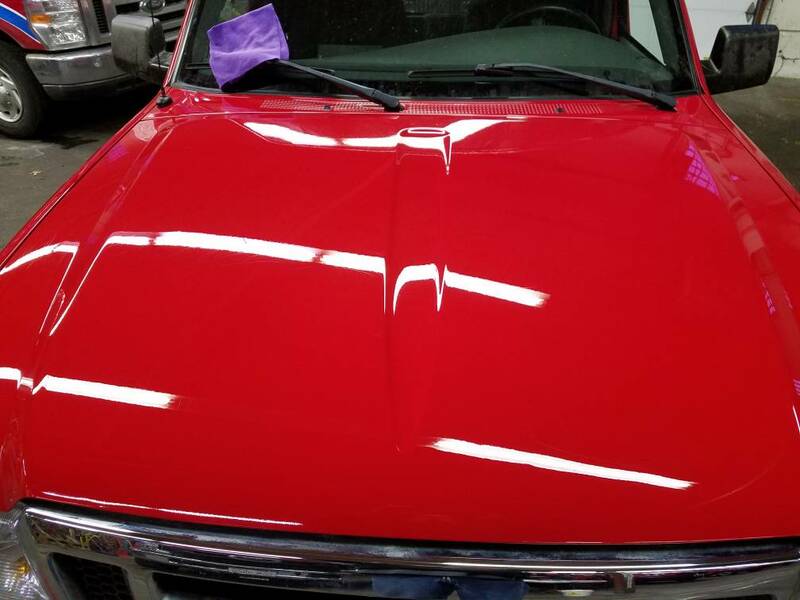 It actually did a decent job cleaning, but definitely deteriorated the optimum spray wax. This morning I washed with meguires power wash plus, then rinsed and dried. Then did a heavy application of bead maker. The slickness and gloss are pretty good so far. I can`t wait to test the hydrophobicity of it next wash. Also I will use bead maker as a drying aid. I can`t wait to continue testing it. 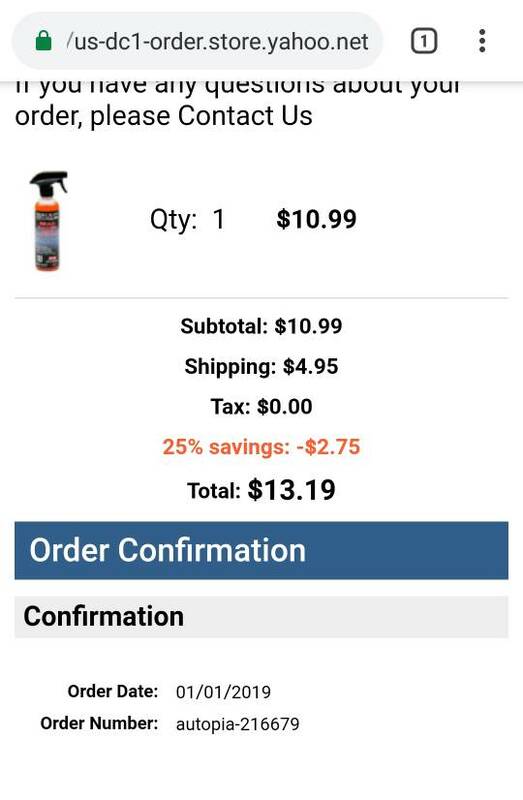 I bought a 16oz bottle to spray from and gallon, in addition to a 5 pack of rag co eagle edgless 600s. It took almost the whole 16oz bottle to do my Audi s4 and the face of the wheels. Well, this certainly wouldn`t be considered a positive in any way unless I`m missing something. So aside from slickness, does Beadmaker improve the look and, if so, for how long? I haven’t noticed a drop in hydrophobic performance on M37 V2, Gyeon One, and CQuartz. It’s boosted all of them above their previous performance at the 7+ month range. Self cleaning is still there. I haven’t done significant consistent applications of Bead Maker on top so I’m not sure if overuse will end up dropping the water behavior over time. Slickness is much improved and gloss looks good. It’s base dependent as well, Gyeon One with Bead Maker still is slightly more hydrophobic than M37 V2 with Bead Maker, as M37 has been on the paint for much longer. It definitely improves the look, but for how long, Dunnno yet. Just ordered another gallon of Beadmaker. I use it weekly on my 2 vehicles. Every Friday I do a Rinseless wash with Echo2 then use Beadmaker, after finishing the exterior I use the soaked MF for the inside seats and all. The Beadmaker leaves a very glossy and very slick finish. I like the ease of use and the the gloss and slickness. I really don`t care about how long it lasts because I use it every week anyway.I have never had any streaking or problems applying or removing it, even in very cold weather here in Connecticut. For me Reload always streaks, except when I combine it with echo2 and distilled water, still its not as glossy as BM. I also like PA High Gloss, but BM looks just as good. I tried coating my iPhone screen with Beadmaker. I want the screen as slick as my car, but sadly it was ineffective. Gave it a go today. Rounded up a test panel (albeit one still attached to a fleet vehicle at work) and clay mitt, compounded best I could with what I had on hand (no heavy hitters avaliable, D300 on microfiber probably woulda dug all the scratches out or M101). 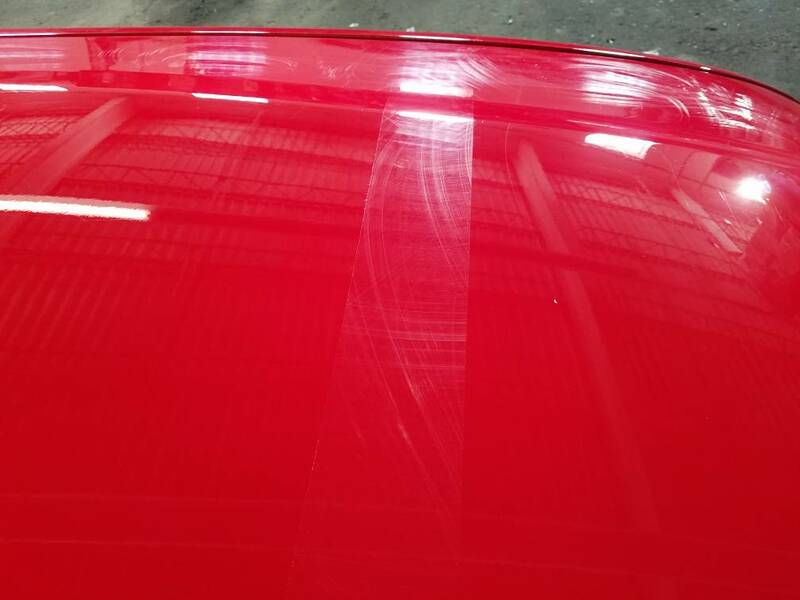 Anyway, wiped down with CarPro Eraser, taped off half the hood (someone wanted to see 50/50 with Beadmaker and bare paint), sprayed Beadmaker on until it was nearly running off panel, rubbed it in with 350gsm fir a bit then final buff with something like a 450-500gsm...can`t quite recall. Initial impressions: Its a fun product and given the price, I can see why folks enjoy it. It has a pleasing, somewhat substantial feel to the application, somehow slightly ?velvety? and a thicker feel at finish than it appears in the bottle. Quite entertaining to use, kinda instant gratification in a bottle. Gloss was nice, and I think it`s the feel that really draws folks in...quite silky to the touch. 1. Just a touch (maybe) slicker than Polish Angel Rapidwaxx...its close. 2. As slick as Gyeon Syncro at application time. 3. A bit slicker than the vehicle I did yesterday with CQ UK 3.0 + Gliss V2. Truck will sit in warehouse until Monday; will see how it behaves then after a weekend of curing. Will throw some water on it as well. After that, out into the NE Ohio winter...will sit outside 24/7, get bombed by birds, driven all about and we`ll see how it goes. Maybe I`ll try some PA Rapidwaxx on the bare side of the hood before releasing into the wild. While it wont make it into regular use for me (coating junkie) it`s a fun thing to have around and certainly priced right...smells nice too. 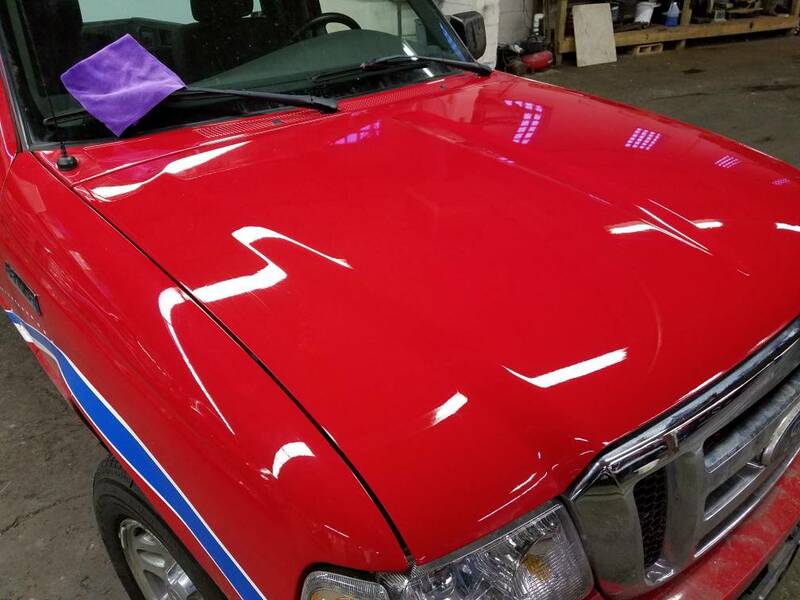 I can certainly understand why people dig it...kinda like the HD Speed of spray ?sealants, quick detailers, waxes?...not sure where to place it...quick, easy, glossy and slick and most of all fun. Pics to follow although what can ya really tell from cellphone pics. Beadmaker on drivers side, bare paint on passenger. Glad I gave it a go; don`t expect anything amazing with respect to longevity, water behavior and such but might be fun to have around for when I see someone washing their car..."Here...watch this."